Change is the only constant, but do you have what it takes to keep up with the ever-changing working world? The advent of Industry 4.0 is making huge waves in the working world. Human processes are becoming increasingly automated with the help of artificial intelligence (AI). We also now live in a data-driven environment where complex digital systems are used to gather and analyse data to support decision-making processes and business operations. No doubt these transformations have helped businesses across sectors increase productivity and efficiency, but these disruptive technologies have also caused fear among jobseekers and employees. With headlines such as ‘AI taking over jobs’ and ‘Robots becoming a threat to future employees’ all over our social media feed, it’s hard not to be anxious about how these changes will affect us. However, amidst the gloom and doom, there are ways for us to make ourselves future-ready. With the effects of Industry 4.0 permeating a myriad of sectors, there is a need for us to be tech fluent. According to publication Artificial Intelligence, Automation, and the Economy, there will be a rise in demand for labour in areas where humans complement AI-automation technologies. In other words, for us to remain relevant in today’s and the future workforce, we have to work in tandem with these technologies to achieve our work goals. As such, we will need the technical know-how to keep up. Having the right technical skills relevant to a specific job and knowing how to apply it will bring value to prospective employers. As the saying goes, change is the only constant – and for us to be prepared for it, we need to embrace lifelong learning. The skills we learn today may become irrelevant in a couple of years from now – it’s not something we can predict. Industry 4.0 is the current trend, but we cannot be certain about the next advent that will cause another wave of disruption in our lives. Lifelong learning is therefore the key to navigate whatever challenge that comes in our way. Recognising the importance of lifelong learning, the Singaporean government has introduced SkillsFuture, aimed to help those in the workforce to upskill themselves. The initiative includes subsidies for courses, study grants and fellowships that we can leverage on. We can also take specific courses online, such as Java classes and Python bootcamps to add an additional competency under our repertoire of skills. Platforms such as Coursera, Udemy and Khan Academy provide online courses which are open to everyone. AI has certainly made machines ‘smart’ enough to perform human tasks, but forming new ideas remains to be a job for us humans. The possibilities of technology are endless, and it is up to us to think of how to apply the newest technologies in innovative ways. Instead of worrying about machines and robots being a threat, we should hone our human skills to complement what machines and robots lack. And vice versa, these technologies complement humans when it comes to tasks that we cannot do alone. Simple examples include using real-time traffic data on Waze to plan our drives effectively and using Google Translate to help translate a sentence in a foreign language. These will not be possible if there was no human input, or if these technologies were not invented. As psychologist and computer scientist, Joseph Licklider best puts it, humans will “set the goals, formulate the hypotheses, determine the criteria, and perform the evaluations” – all of which require human skills. Machines, on the other hand, will “do the routinisable work that must be done to prepare the way for insights and decisions in technical and scientific thinking”. 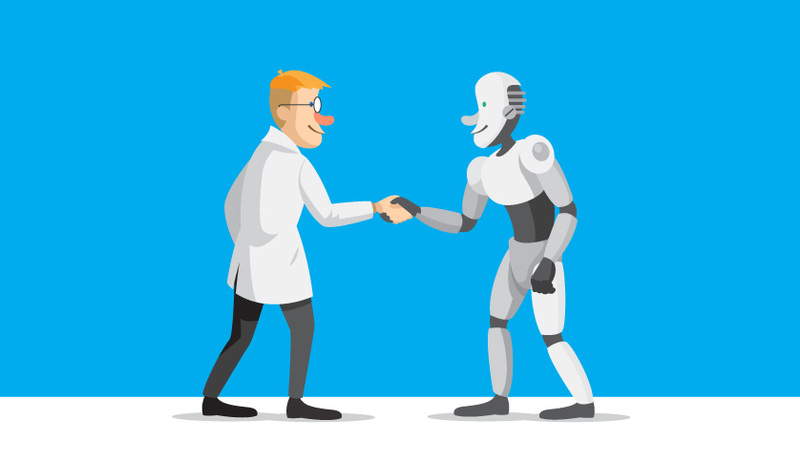 In other words, there is a need for collaboration between human and machines to perform tasks much more effectively than when human or machine alone perform them. Human, soft skills are thus just as important as technical skills in today’s digital world and the years to come.